Martin Shkreli, the former pharma executive who drastically increased the price of an AIDS drug, has appeared before Congress. Turing Pharmaceuticals founder Martin Shkreli came under fire last year after buying the rights to 62-year-old drug Daraprim, which is used to treat conditions including AIDS-related toxoplasmosis, and jacking up the price to $750 a pill. 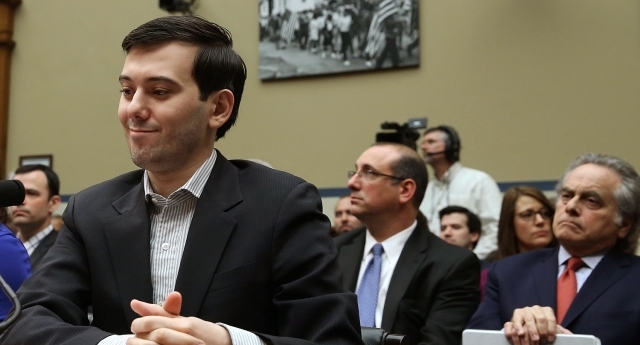 The 5500% price rise sparked outrage, but Shkreli refused to back down. He was removed as the company’s CEO after he was arrested over unrelated fraud allegations. Shkreli appeared before US Congress today to answer questions about his company’s actions – but heeded his legal counsel’s advice to stay quiet about the incident. The House of Representatives Committee on Oversight and Government Reform posed a number of questions to Shkreli, repeatedly exercising his right to remain silent. The former CEO seemed detached throughout the hearing, smirking at many of the questions as he declined to answer – and even giggling at one point, while a lawmaker was speaking about the impact of Shkreli’s money-grabbing actions.